The Haute Route is the first global series of multi-day cycling events for amateurs. Whether it’s in Colorado’s Rockies, the French Alps, Pyrenees or Italian Dolomites, these are the highest, toughest and most prestigious amateur races in the world. Each edition features seven timed and ranked stages with professional-level event organisation including medical teams, mechanical support, rolling road security, film crews and, of course, massages. 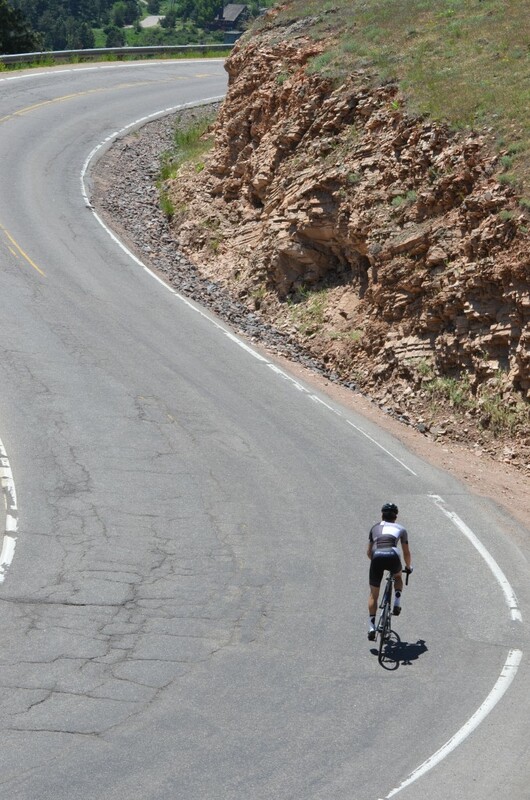 Rookie or expert, you will tackle the highest, steepest, most-renowned terrain in world cycling. You will push yourself to your physical and mental limits – and experience what it’s really like to ‘ride like a pro’. Hundreds of riders from around the globe, representing more than 50 nationalities, take part in the Haute Route events that are a mix of Classic and Marathon stages, plus an Individual Time Trial. Each stage is timed and ranked, with overall rankings published at the end of each event (including age, team and gender classifications). Riders can enter as individuals or as teams of up to nine, and a few exceptional riders take on two events (Iron Riders) or all three (Triple Crown Riders). Carving through the heartland of American cycling, the Mavic Haute Route Rockies 2017 will feature an unforgettable combination of jaw-dropping scenery and breathtaking climbs. The event offers committed amateur riders the opportunity to compete with a professional level of off-the-bike support unprecedented in US amateur cycling. A point-to-point event, the Mavic Haute Route Rockies offers a unique platform for committed amateur cyclists to set themselves a defining challenge, while taking in the spectacular Colorado canvas of high plains, deep canyons, lush forests and spectacular mountain roads that are ingrained in the fabric of American road cycling. Riders will benefit from full mechanical assistance from the event’s Title Partner Mavic – drawing on decades of experience supporting the pro peloton in cycling’s Grand Tours – in addition to daily stage timings, feed stations and Mavic’s exclusive event jersey and bib shorts. Off the bike, daily massages, food in the race village and transfer of luggage to accommodation between stages is provided – all hallmarks of the comprehensive event support experienced by riders in the European Haute Route series since 2011. The full course will be revealed in the coming months, as permits are obtained through the necessary governing entities. With an entry limit of 600 riders and high demand for places, we encourage you to register early. Purchase your event entry and accommodation package online here.